1. 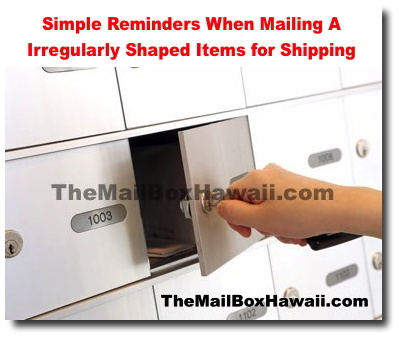 Check with your shipping carrier about packaging requirements, especially extra handling charges for irregularly shaped items. 2. If you are shipping rolled up items like posters or fabric, pack it inside corrugated boxes to prevent damage. Be sure to place duplicate labels on the top layer. 4. Again, remember to properly label and address your package. Double check the delivery address and include a return address. If you are re-using a box, be sure to cover up any old labels with a thick marker.